Call of Duty: Ghosts PC Update Improves Riley and other Canines, Really? Well yes, that was my first reaction to the news story, I mean why would you want better fur on top of the canine that has been so lovingly showcased all over the marketing media in Call of Duty: Ghosts’ advertisement campaign? Alas, it is so. 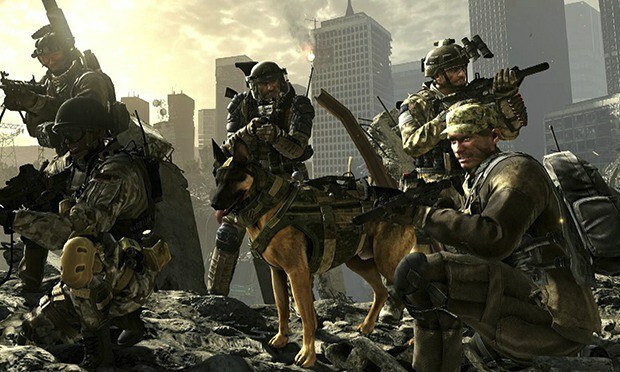 According to DSOGaming, the latest PC patch for Call of Duty: Ghosts includes support for PhysX and Apex technologies by Nvidia which as a result have meant that the dog Riley will now appear much more realistic and with a better fur. Let’s explain this a little further, the Apex technology will give Riley and other canines in the game as well as wolves, a more dynamically reactive fur which will now be affected by the environment changes too. According to the post, the Apex technology also works with PCs that have AMD graphic cards and not only Nvidia, but the PhysX technology on the other hand will require Nvidia GPUs. It is the PhysX technology that improves particle effects in the game. Other than this, the PlayStation 3 and PlayStation 4 versions of the game were also updated by Infinity Ward. The PC and PlayStation patches will work on the bugs and give certain level of fixes to the game. Apart from fixing dogs, the full patch notes provide information on what else the update will do like improved frame rates, crash fixes in CODeSprots play on PC; spawn crash fixes in specific map; improve performance issues caused by spamming. You can head to the Call of Duty community page to check out the complete patch notes.